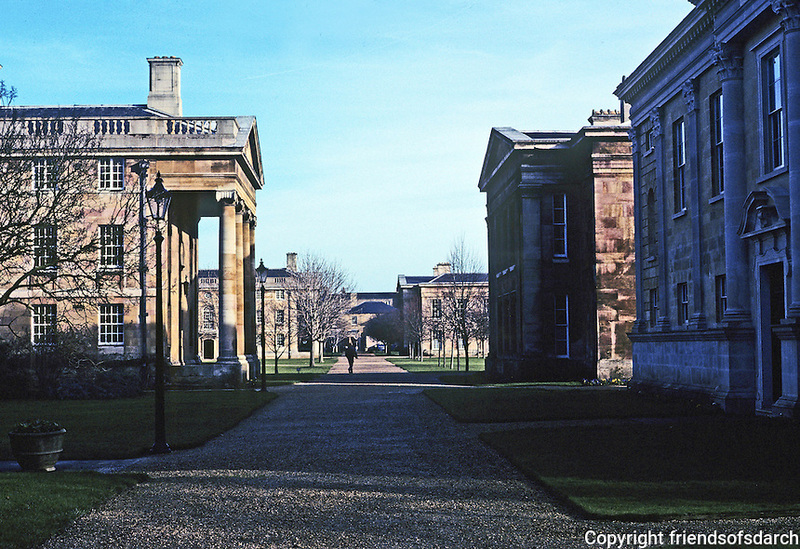 Cambridge: Downing College--looking east to Master's Lodge. Quinlan Terry's new building in shadow at right. Photo '90.